Yes, that’s a two-pronged headline. Chelsea’s 100% home record in academy league action continued this morning in a hard-working 3-2 victory over Portsmouth courtesy of goals from Bobby Devyne, Billy Knott and Kaby. It wasn’t the best of performances from the Blues, but Billy Knott had an outstanding game and continued his scoring run, with his fifth in five games. Knott the best….get it? After last week’s young reserve team had such an impressive outing at Stoke and with another ahead this week, the likes of Josh McEachran, Billy Clifford, Danny Mills and Milan Lalkovic remained with Steve Holland’s team for training, meaning Dermot Drummy’s selection numbers were limited. Aldi Haxhia continued in goal, as he will do for some time yet with Sam Walker’s foot now in a cast, whilst Tom Hayden started at centre back and Aziz Deen-Conteh finally started at left-back, his previous two starts being at centre-back and striker. Anton Rodgers started again after his first goal of the season in a three man midfield, with wingers Billy Knott (back in attack after a spell at left-back) and Bobby Devyne flanking Marko Mitrovic. Portsmouth featured Gauthier Mahoto, who has played some minutes for the first team in the Carling Cup, and also lined up with Florent Cuvelier, although talented defender Sam Magri was only a sub after his involvement with England’s Under-16s in midweek. They started well, pressing high up the pitch and harrying Chelsea in the centre of the park, winning possession quite easily and keeping it quite usefully themselves. They weren’t really able to do anything with their play though, as two or three shots rained in from distance, with only Cuvelier making Haxhia stop the ball. Chelsea were finding the best moments in front of goal in the early stages and after Kaby failed to make the most of a half-chance, George Saville found himself free in the area to meet a corner with a firm header. It was a fantastic chance and even more surprising for Saville’s diminutive stature but in front of his watching elder brother Jack (now of Southampton) he headed over, spurning a glorious chance. Fortunately he was let off the hook as the hosts took the lead shortly afterwards, and partly made amends by being involved in the move. His chest trap to turn over possession caught Portsmouth on their heels and he slid a beautifully weighted pass inside right-back Pete Gregory for Knott to run onto. He in turn sent a ball across the box begging for a touch, and Devyne arrived at the far post to accept his gift for his second goal of the season. However, the lead didn’t last long, a mere eight minutes in fact. 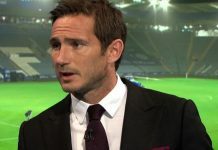 Whereas the first goal typically gives Chelsea the confidence to relax and play the ball around, Portsmouth weren’t letting that happen and scored what was a deserved equaliser just after the half hour mark when a high ball into the area drew Haxhia’s attention. He came to clear but was unconvincing and never got close to it, allowing striker James Jannings to clean house and head the ball home, taking everybody out with him. There was the slight flicker of a lineman’s flag as he headed but it went back down, and the goal stood. Chelsea’s best play was coming through the combination of Knott and Deen-Conteh along the left wing, and Knott in particular was having a fine morning. His energy continued to find him the ball, and his tenacity and technique found good positions to supply for his team-mates. 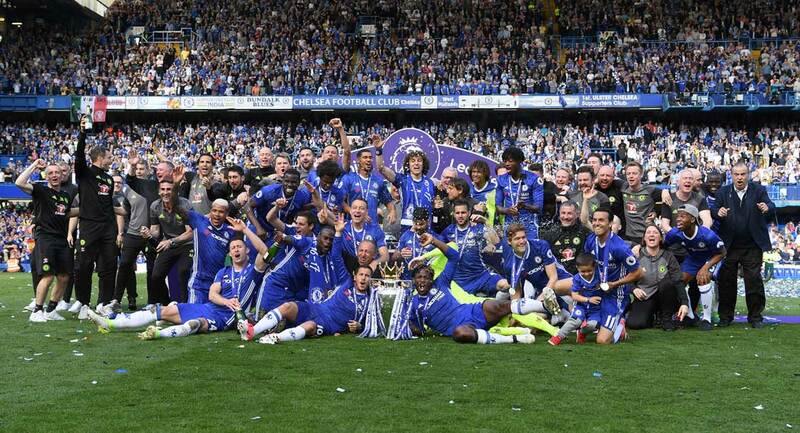 What was letting Chelsea down more than anything though was their indecisiveness. Too often a player would hold onto the ball for one or two touches too many and the opening which was provided by another player was no longer available. With seconds to go until half-time, Knott showed that reacting quickly and acting upon instinct is perhaps the best policy as he restored the lead with his fifth goal in straight games. Rodgers’ corner found Mitrovic but the ball was half cleared to Knott on the edge of the area. He struck it fiercly first time and got the luck he deserved, finding a Portsmouth leg in the crowd as it fizzed into the bottom corner. With the lead at half time, Drummy made two apparently planned changes. Philipp Prosenik and James Ashton replaced Mitrovic and Rodgers, but it didn’t help the game, which remained a midfield battle without great quality. Chelsea continued to waste possession with poor decision-making, and Portsmouth’s hard work came to nothing in the final third due to a lack of a real attacking threat. With an hour on the clock Drummy played his third substitute, 14 year-old (not a mis-print) Nathaniel Chalobah. The England Under-17 international replaced Hayden to make his debut at this level and immediately climbed above Jannings to win a towering header. The next ten minutes turned into the Kaby show, as he first missed a sitter before scoring the third, his second of the season. The miss came after some good play by Prosenik set him up on the edge of the area, but as he opened his body to curl an effort into the bottom of the corner he got his shape wrong and played it with a flat foot, squirting the effort quite some way wide. Not deterred, he was on hand three minutes later to rifle into an open goal after Knott’s shot had been blocked. The captain had given his team a two-goal lead and breathing room, but Knott with a goal and two assists was the key performer without a doubt. The lead should have seen a more confident Chelsea but they seemed to switch off and become prone to error. Nobody personified this more than Haxhia, who had one of his poorest showings in memory. He made a good save from Portsmouth’s unlisted number 17 (as did opposite number Tommy Smith at the other end from Devyne) but was found wanting from two more high balls into the area, one of which he was nowhere near and simply relieved to find the aforementioned number 17 send the effort back towards his grateful arms, and not the unguarded net. When Portsmouth did reduce the arrears with ten minutes to go to set up a grandstand finish, he was helpless as a 20-yard effort from Navas-Alors took a deflection and looped over him into the back of the net. The closing stages saw the visitors throw everything forwards, but rarely threaten. A head injury to Knott saw the game lose some of the sting (he duly recovered to continue however) after a spell of niggle where Chelsea looked to run the clock down. Referee Field blew for full time to keep the Blues at the business end of the table and make it a perfect five at home this season. With the exception of Knott there were no performances of note (positive words for Saville and Deen-Conteh however), but the introduction of Chalobah is promising, and things continue to go well.